...one of the best investments we can make as a destination in the international market. Go West Summit is a premier travel trade marketplace. Now in its 23rd year, the Go West Summit is a marketplace that brings together the highest quality suppliers in the western states of Alaska, Arizona, California, Colorado, Idaho, Montana, Nevada, New Mexico, Oregon, Texas, Utah, Washington and Wyoming. 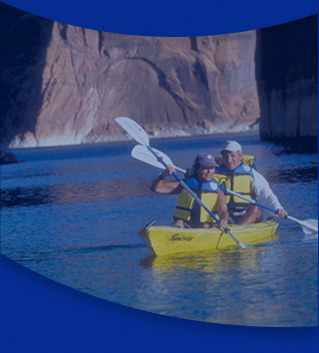 The Summit provides the international and U.S. based receptive tour operators a venue to meet for individual pre-scheduled one-on-one meetings with suppliers from the America West to generate tourism business into the Western United States. The Summit is regarded by participating tourism and travel professionals as a premier conference, among the best of its type, as well as an efficient and economical mechanism for booking international business. Go China Summit is the premier business-to-business travel conference held in conjunction with China International Travel Mart (CITM) exclusively selling inbound travel to China. Our targeted forum brings together the world’s premier tour operators with suppliers of travel products from throughout China, for individual pre-scheduled one-on-one meetings. At Go China Summit, China’s domestic suppliers and international tour operators participate in multi-day business sessions and pre- and post- event familiarization tours to regional attractions with the goal of showcasing the destination for future tourism business. Tour Operators from over 30 countries around the world participate. Go Native Summit is designed for Native American businesses focused on tourism to have a means of reaching and contracting with international tour operators. The intention of this series of events is to create an annual, sustainable Business-to-Business Marketplace for Native Americans to enter the international marketplace or increase current international visitation to their destinations and businesses. The initial Training Seminar was implemented to provide an entry level educational platform for Native individuals, businesses, Tribes and Tribal destinations to explore opportunities in the international marketplace and to advance their business skills to increase visitation. Future Go Native Summits offer educational sessions for entry-level and experienced Native tourism suppliers.